We just got back from a weekend in California celebrating my grandma’s 90th birthday. All seven of her kids, most of her grandkids, and many of her great-grandkids gathered for the occasion. Kids ran wild, adults laughed and caught up, and we ate lots of delicious food. The party itself was a beautiful testament to the life my grandma has led, but one of my favorite moments was the night before, at a family dinner. Rather than a traditional blessing before the meal, my aunt asked each of the siblings to share ways in which my grandma has blessed them. Descriptors like caring, servant, unconditional love, intentional focus, ability to make each kid and grandkid feel special, open hospitality, love of God, family, community, and neighbors… The list was extensive and words described a woman who truly lived out the idea of loving God and neighbors first. I’ve always admired my grandma and wanted to be like her in a vague sense, but hearing these words gave me definite adjectives of how I want my life to look and how I want to be viewed in sixty years. What am I doing right now to make each person in my life feel special, important, and heard? How am I showing open-handed hospitality and grace? How am I living out the message of Christ, rather than simply internalizing it? It’s amazing to see family gathered, values passed on through generations, and the legacy she and my grandfather so intentionally built. Frank and I were talking about what a privilege it is to have such a model in our lives. I sometimes forget how amazing it is to have a family who gathers without drama, who loves each other and spending time together, and who create open and caring communities as a matter of habit. I’m thankful that this was a norm for me and it will continue to be a norm for my kids. 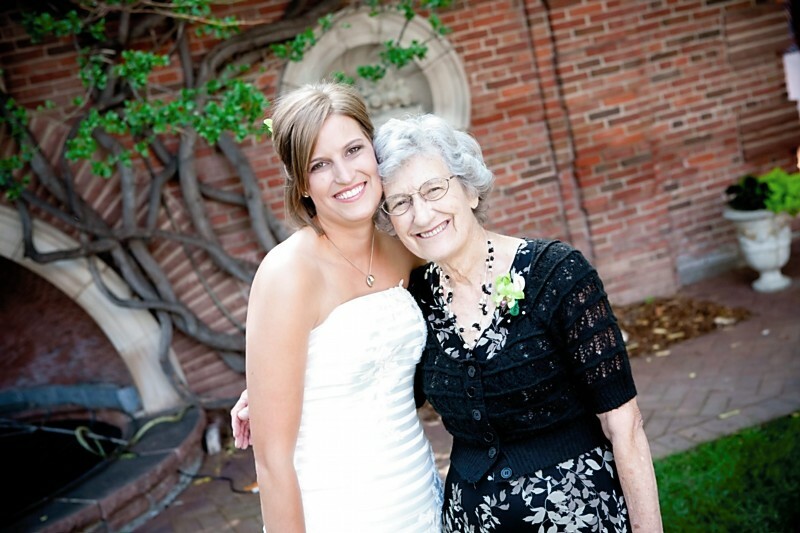 Who is your role model for what you hope life looks like at ninety? Mama Rachel – born 1923 – age 91 – happy to sit on the (carpet) floor in front of her and listen. I am her first child (1944) and there are two other boys, five girls (latest 1960), all still living. Mama lives with middle daughter – Haw River, NC, same (large) house. That’s amazing she’s still in the same house! And, yes – so much wisdom to listen to and learn from! You know how I loved this, Annie. Having a special relationship with my Granny, well, this just made me smile all over. The past 7 years, a part of our family has gathered at Thanksgiving. And while there have been times when struggles have been shared and each year we’re losing a generation, we gather in love. What a gift you little Bea has in her life. So cool! There’s something impressive about 90. I don’t know why, but I’m glad we took the time to celebrate! I love the connection you make between what you want to be remembered for (at 90) and the way you live now. The habits of our everyday lives determine to a large extent the person we will be when we are older! Thanks, Laurie! I’m learning that life rarely just happens – there’s intentionality to it.